Pink awareness. Very important. 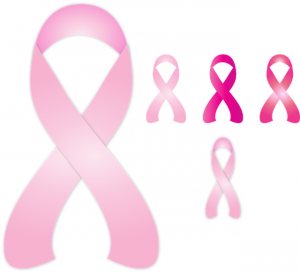 Awareness of the risk of breast cancer. We want to be aware, also, of the need for daily Coenzyme Q10 supplementation. Our bodies produce less Coenzyme Q10 as we get older. Breast cancer patients need Coenzyme Q10’s energy producing function and its antioxidant role. Breast cancer is doubly frightening. First, there is the fear that the tumor will metastasize, leading to more deadly cancers. Secondly, there is the dread of the chemotherapy and its adverse effects: the hair loss, the sores in the mouth, the nausea and vomiting, the diarrhea. But Coenzyme Q10 supplements may help. Remember: the women in the placebo group were taking the same tamoxifen dosage but without the added Coenzyme Q10 and riboflavin and niacin. These research results give reason to hope that daily supplementation with Coenzyme Q10 can reduce the risk of breast cancer progression and recurrence and metastasis [Premkumar 2007]. Tamoxifen is an anti-estrogen drug that is used to treat women at risk of breast cancer and women with breast cancer. Tamoxifen blocks the effects of estrogen and has been shown to reduce the risk of breast cancer. However, longer-term tamoxifen use can have adverse effects on breast cancer patients’ blood chemistry. In a research study done in India, researchers recorded numerous tamoxifen-related statistically significant alterations in post-menopausal breast cancer patients’ blood chemistry parameters. When the researchers used a combination of Coenzyme Q10 with riboflavin and niacin together with the tamoxifen, the breast cancer patients’ blood chemistry parameters reverted back to near normal levels [Yuvaraj 2009]. Angiogenesis – the development of new blood vessels – promotes tumor cell progression and dissemination and may promote metastasis. Daily co-administration of Coenzyme Q10, riboflavin, and niacin together with the tamoxifen treatment reduced the levels of biological markers for angiogenesis as compared with tamoxifen treatment alone [Sachdanandam 2008]. In a case-control study, researchers combined tamoxifen with daily supplementation with Coenzyme Q10, riboflavin, and niacin. The supplementation with Coenzyme Q10 and riboflavin and niacin significantly decreased biological markers of oxidative stress and increased the antioxidant status of postmenopausal breast cancer patients [Yuvaraj 2008]. The use of the drug tamoxifen may be associated with an uncoupling of the electron transfer process in the mitochondria from the process of generating ATP energy [Gröber]. Supplementation with Coenzyme Q10 may help to offset this adverse effect of tamoxifen. Now it seems that the cellular bio-energetics function and antioxidant role of Coenzyme Q10 may augment and ameliorate the conventional treatment of breast cancer patients. Folkers, K., Brown, R., Judy, W.V., and Morita, M. (1993). Survival of cancer patients on therapy with Coenzyme Q10. Biochem Biophys Res Commun, 192, 241–245. Gröber, U. (2012). [Mitochondrial toxicity of drugs]. Medizinische Monatsschrift Fur Pharmazeuten, 35(12), 445-456. Hertz, N., and Lister, R. E. (2009). Improved survival in patients with end-stage cancer treated with coenzyme Q10 and other antioxidants: a pilot study. The Journal of International Medical Research, 37, no. 6: 1961-1971. Lockwood, K., Moesgaard, S., Hanioka, T., & Folkers, K. (1994). Apparent partial remission of breast cancer in “high risk” patients supplemented with nutritional antioxidants, essential fatty acids and coenzyme Q10. Molecular Aspects of Medicine, 15 Suppls231-s240. Premkumar, V. G., Yuvaraj, S., Vijayasarathy, K., Gangadaran, S. D., & Sachdanandam, P. (2007). Serum cytokine levels of interleukin-1beta, -6, -8, tumour necrosis factor-alpha and vascular endothelial growth factor in breast cancer patients treated with tamoxifen and supplemented with co-enzyme Q10, riboflavin and niacin. Basic & Clinical Pharmacology & Toxicology, 100(6), 387-391. Premkumar, V. G., Yuvaraj, S., Vijayasarathy, K., Gangadaran, S. D., & Sachdanandam, P. (2007). Effect of coenzyme Q10, riboflavin and niacin on serum CEA and CA 15-3 levels in breast cancer patients undergoing tamoxifen therapy. Biological & Pharmaceutical Bulletin, 30(2), 367-370. Premkumar, V. G., Yuvaraj, S., Shanthi, P., & Sachdanandam, P. (2008). Co-enzyme Q10, riboflavin and niacin supplementation on alteration of DNA repair enzyme and DNA methylation in breast cancer patients undergoing tamoxifen therapy. The British Journal of Nutrition, 100(6), 1179-1182. Sachdanandam, P. (2008). Antiangiogenic and hypolipidemic activity of coenzyme Q10 supplementation to breast cancer patients undergoing Tamoxifen therapy. Biofactors (Oxford, England), 32(1-4), 151-159. Yuvaraj, S., Premkumar, V. G., Shanthi, P., Vijayasarathy, K., Gangadaran, S. D., & Sachdanandam, P. (2009). Effect of Coenzyme Q10, Riboflavin and Niacin on Tamoxifen treated postmenopausal breast cancer women with special reference to blood chemistry profiles. Breast Cancer Research and Treatment, 114(2), 377-384. Yuvaraj, S., Premkumar, V. G., Vijayasarathy, K., Gangadaran, S. D., & Sachdanandam, P. (2008). Augmented antioxidant status in Tamoxifen treated postmenopausal women with breast cancer on co-administration with Coenzyme Q10, Niacin and Riboflavin. Cancer Chemotherapy and Pharmacology, 61(6), 933-941. Disclaimer: The information presented in this review article is not intended for use as medical advice. Please click here for additional information about the heart health effects of Coenzyme Q10 supplements.